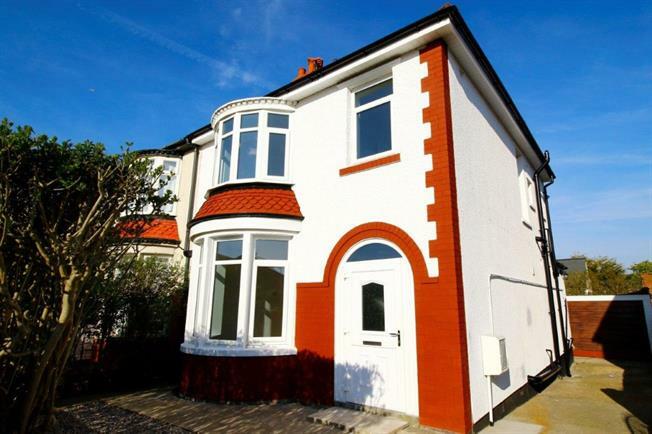 3 Bedroom Semi Detached House For Sale in Blackpool for Asking Price £140,000. We are pleased to offer this spacious Semi Detached property which has been refurbished to a high standard throughout. Open plan living comprising Lounge through to Dining Room through to a brand new fully fitted Kitchen. Upstairs there are three Bedrooms and a modern fully tiled bathroom. Gardens to the front and rear. Driveway for several cars leading to a Garage and rear outbuilding. Double Glazing and Central Heating throughout. Viewing highly recommended to fully appreciate. No Chain Involved.